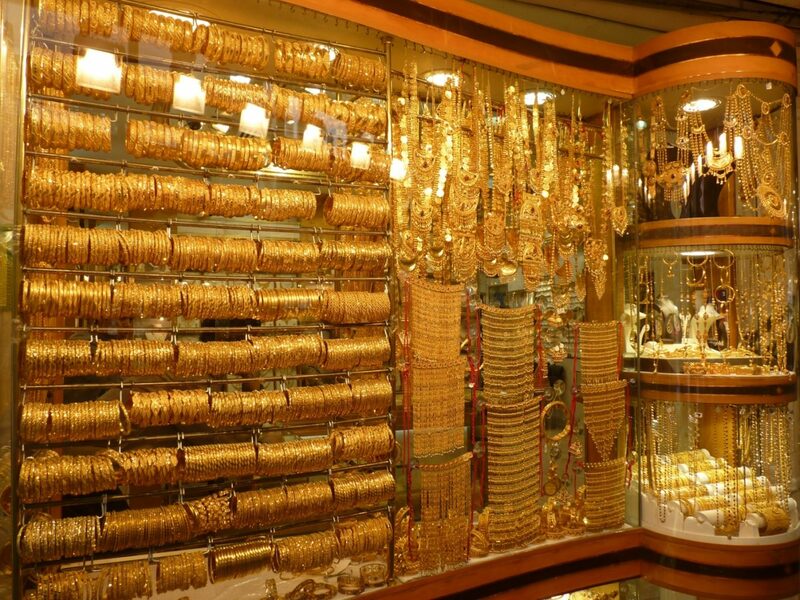 If you are going to Dubai, then a visit to the shops should be on your itinerary. You won’t just find stores in the shopping malls. 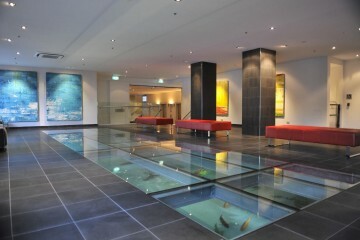 The complexes in Dubai offer up ski fields, dinosaur skeletons and aquariums alongside your Topshops and Louis Vuittons. We round up our top must-visit shopping destinations in this dynamic city. The Dubai Mall is a shopping complex unlike any other. The biggest shopping centre in the world, coming in at an impressive 13 million square metres in size, it’s easy to feel like The Dubai Mall has every shop you could ever imagine wanting to visit under its impressive roof. With a huge luxury goods area, an entire section dedicated just to shoes (Carrie Bradshaw’s idea of heaven no doubt! 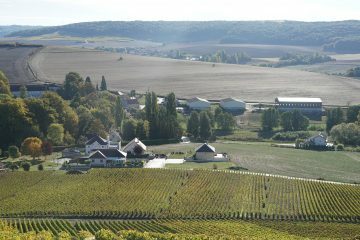 ), a replica of the Parisian Galeries Lafayette, sporting goods, and international homeware giants such as West Elm, you could spend days here alone. 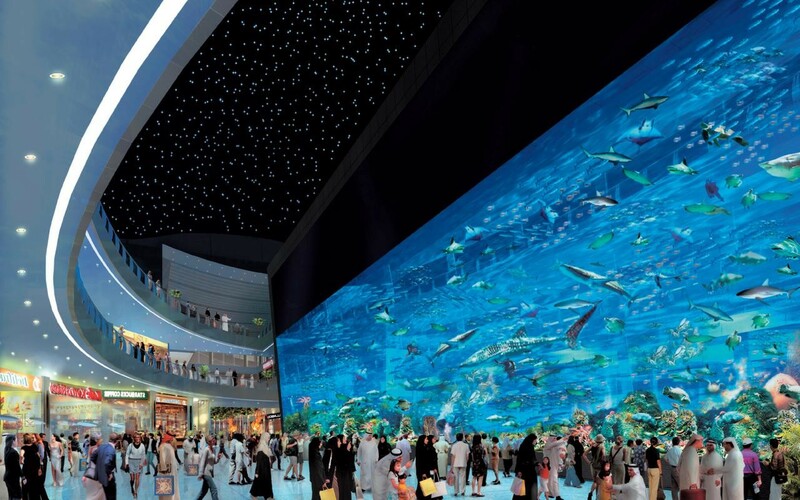 If you get tired of shopping, you can visit the in-centre aquarium. Yes, there is an aquarium inside the shopping mall, complete with a giant crocodile, stingrays and sharks. If you are a dinosaur fiend, you will also love the enormous Diplodocus skeleton residing in the mall. More than 155 million years-old and measuring at 24 metres long and 7.6 metres high, this unexpected attraction certainly adds to the unique flavour of this giant complex. You can’t visit Dubai without spending some time wondering through the Souks. Filled with unique trinkets, delicious smelling spices and gold, lots of gold. The perfect place to pick up some souvenirs or some beautiful jewellery for yourself! If you are on a tight schedule, the 1001 Events iPad Amazing Race Tour will give you a chance to explore this eclectic part of the city on its Dubai tour. 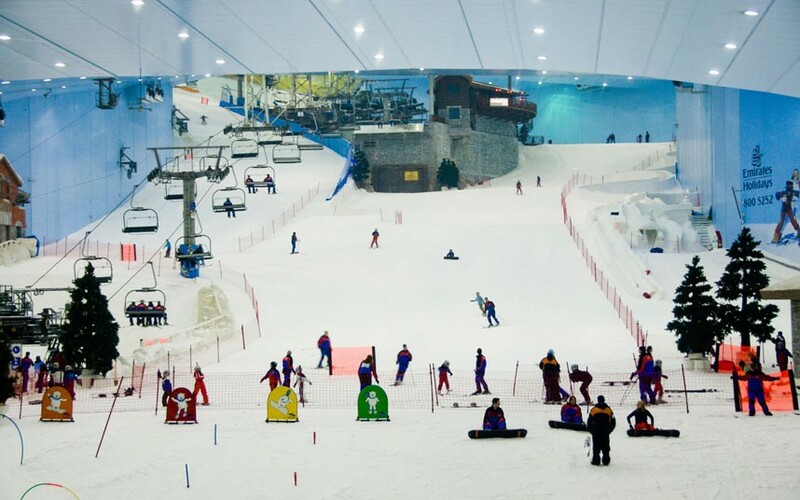 While the Mall of the Emirates has all your fashion, beauty and lifestyle stores, its biggest attraction is its indoor snow centre, Ski Dubai. Yes, you heard me right, there is a snow field in the middle of Dubai. Once your credit card is maxed out, you can hit the slopes on the world’s first indoor black run, indulge in a luge run or a spot of tobogganing. You also can’t miss your chance to get up close and personal with penguins at Ski Dubai’s Penguin Encounter. The centre helps rehabilitate, and educate people about, these popular animals. You are given the opportunity to get a close up look at the penguins swimming in their enclosure and performing tricks, but you’ll also be given the chance to have your photo taken with these beautiful creatures. Definitely an unforgettable experience!